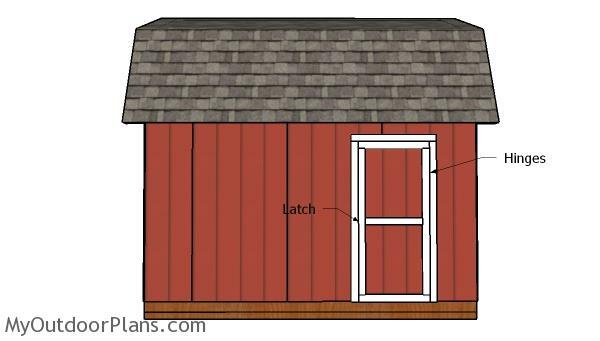 This step by step diy project is about 12×14 shed doors plans. 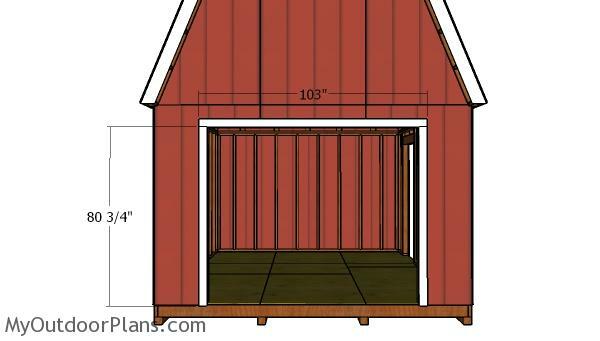 This is PART 3 of the large barn shed project, where I show you everything you want to know about framing the door and fitting the trims. Take a look over the rest of my woodworking plans, if you want to get more building inspiration. Remember that you need to select the site for the shed with attention and that you have to comply with a few legal regulations. The first step of the project is to attach the jambs around the front door opening. Fit the 2×4 jambs around the door opening. Align the edges flush and insert 3 1/2″ screws to secure them into place tightly. 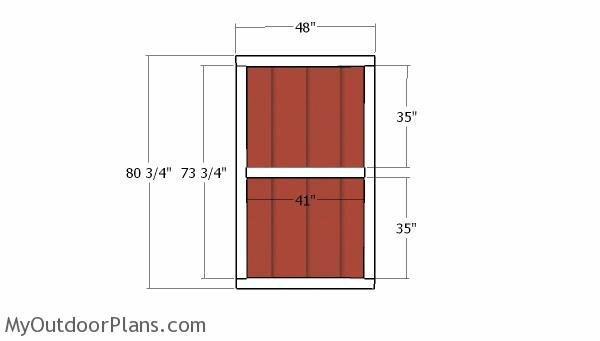 Use T1-11 siding for the door panel and 2×4 lumber for the trims. First, you have to build the door frame. Drill pocket holes and insert 2 1/2″ screws to lock the frames together tightly. Make sure the corners are square and align the edges flush. Fit the panel to the frame and insert 2″ brad nails to lock them together tightly. Fit the door to the opening and then secure it to the jambs with hinges. Install a latch so you can lock the door into place tightly. Install handles so you can open and close the door easily. Fit the 2×4 jambs around the side door opening, as well. Cut the jambs from 2×4 lumber and then secure them into place with 2 1/2″ screws, every 8″ along the framing. 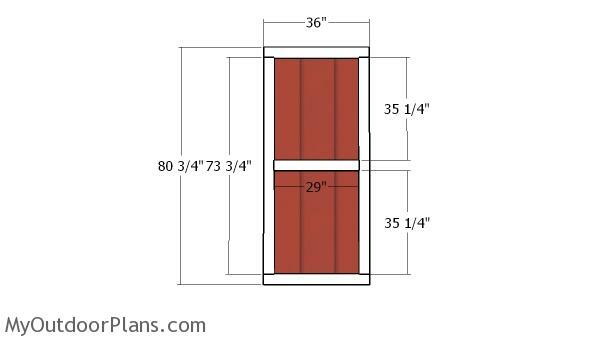 Use T1-11 siding and 2×4 lumber for the side doors. 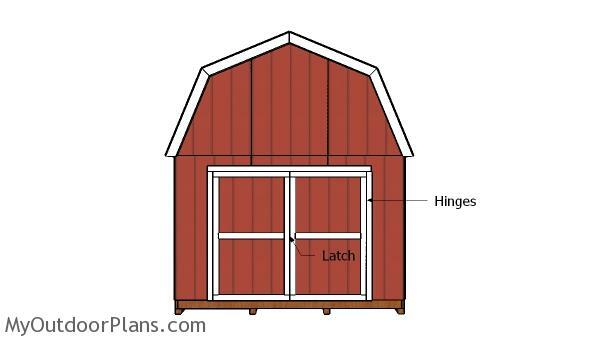 Assemble the shed door using the same techniques described above. Fit the 1×4 trims to the sides of the shed. Align the edges with attention and insert 2″ nails, every 8″ along the framing. 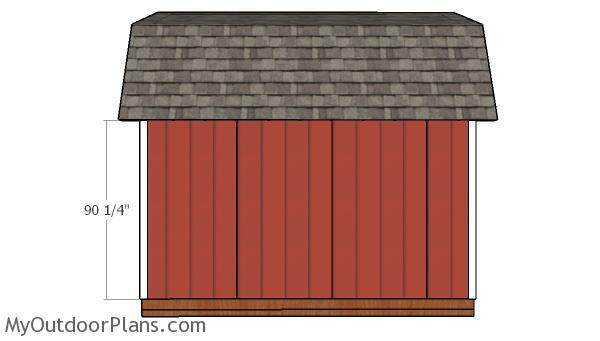 Fit the 1×4 decorative trims to the front and back of the shed. Use 2″ nails every 8″ along the framing. Last but not least, take care of the finishing touches. Fill the holes with wood putty and smooth the surface with 120-220 grit sandpaper. 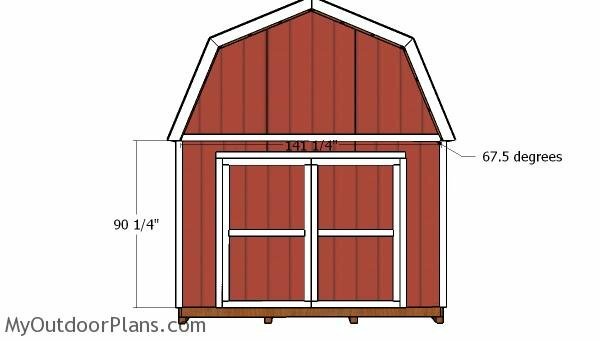 Apply a few coats with paint or stain to enhance the look of the shed and to protect the components from decay. 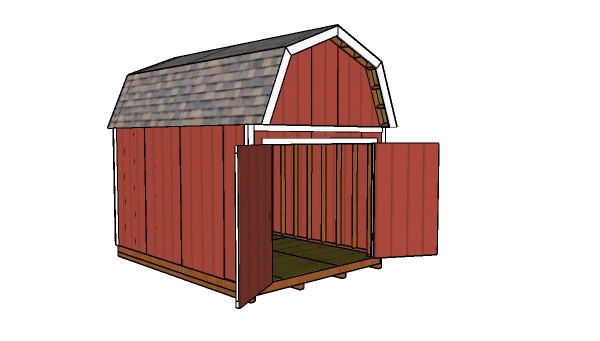 You could also fit several accessories that will make your shed a lot more easier to operate. 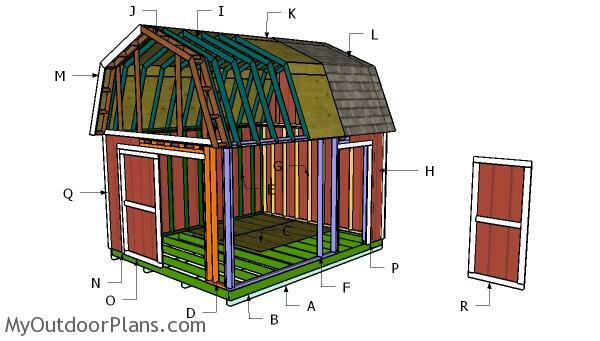 Check out PART 1 for the frame plans and PART 2 for the roof plans. 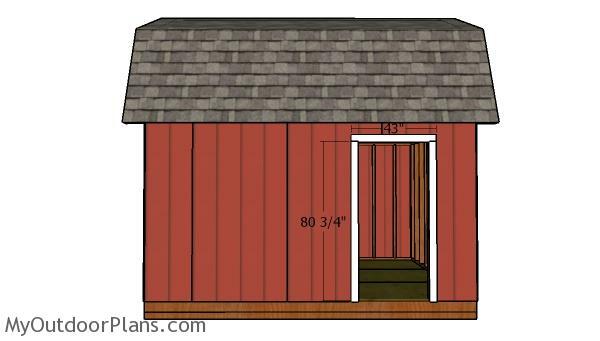 This woodworking project was about 12×14 shed door plans free. If you want to see more outdoor plans, check out the rest of our step by step projects and follow the instructions to obtain a professional result.